Since I relocated my business to Chicago in 2005, every trip back to Michigan is full of memories. It was there that I first lived after immigration from Russia, that I earned my undergraduate degree, and that I founded Russian Pointe. My visit in September was particularly reminiscent. I had been invited to speak and moderate a panel of fellow alumni at the Eastern Michigan University Alumni Business Conference (read more here). While in Michigan, I also visited with family and attended the third annual Russian Festival of Ann Arbor’s St. Vladimir Orthodox Church. The festival, held on September 19-20, was a wonderful celebration of Russian culture. From small children to adults, everyone was engaged in a vibrant series of activities including a fabulous variety of traditional music, song and dance. I felt a sense of sisterhood and brotherhood of Russian speakers, and I enjoyed connecting with friends and acquaintances from my days in Ann Arbor, when I was a member of the St. Vladimir congregation. Among the old friends I met were some who had once worked for me during the early days of Russian Pointe. No cultural experience is really complete without national cuisine, and the food at the festival was delicious, from shish kebabs to honey-cakes. The baked goods were so lovely that at first I thought they were from professional bakers, but in fact they had all been prepared by members of the congregation. 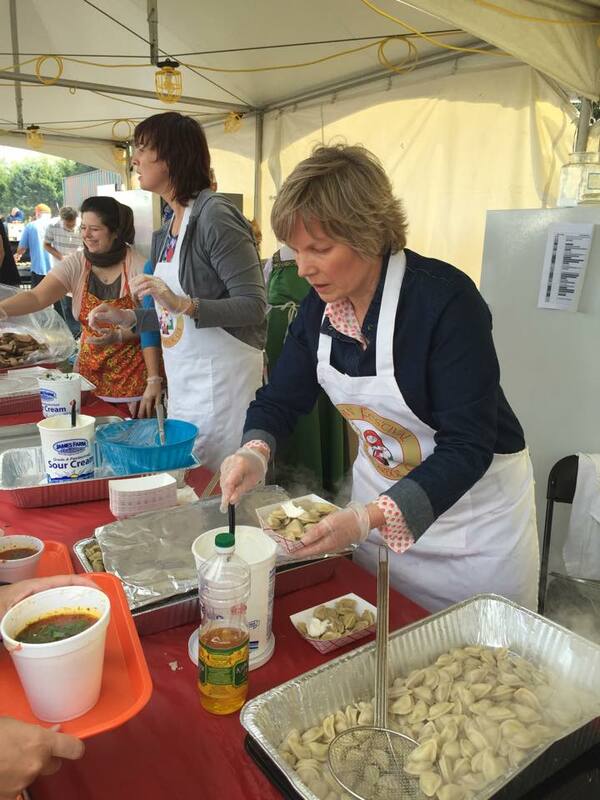 I believe that events like St. Vladimir’s Russian Festival are very valuable. There was a marvelous sense of sisterhood and brotherhood among the Russian speakers there, and for those of non-Russian background the festival provided a rich demonstration of the essence of Russian culture. For me, it was a double opportunity to connect with my roots, both those in Michigan and those in Russia.